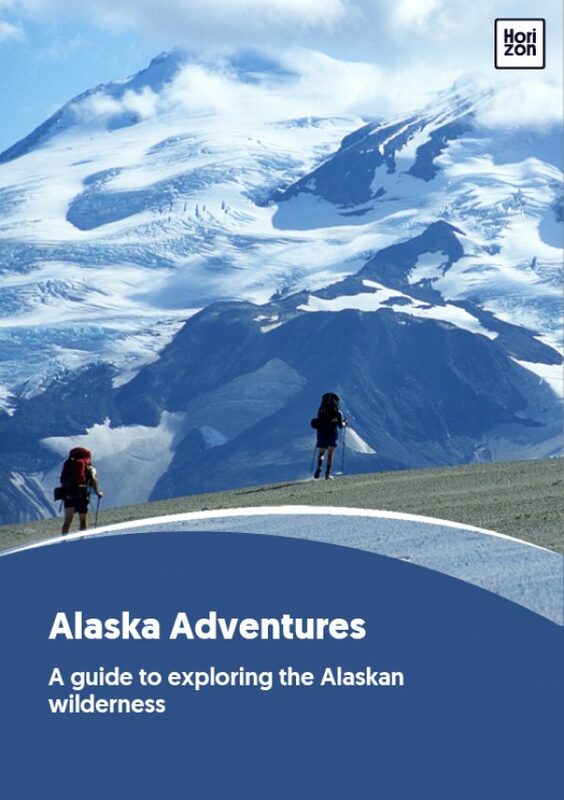 Choose from routes of all lengths and levels in one of the most approachable and user friendly wilderness areas anywhere in Alaska. The Chugach Mountains offer several dozen excellent hiking and backpacking trails, crossing high tundra landscapes, all within easy reach from Anchorage. Adventure through the biggest mountains in North America and the crown jewel of the National Park system, gaining many-angled views of Denali in all its majesty. The Arrigetch Peaks are known for their sheer walls, vertical spires and spectacular relief. They’re deep in the Brooks Range, with very low backpacker traffic. Hike through the high tundra of the Revelation Mountains, a range so rugged and remote that it has been largely overlooked. Test your off-trail backpacking skills in the United States’ largest national park. Traverse glaciers, swift creeks, high mountain passes, and wide-open tundra. Kayaking and rafting are two of the most sublime modes of wilderness travel in Alaska. To paddle along the shore of a remote glacial lake or to stroke the tidal waters of an Alaskan sea is both quintessential and surreal. Cover distances on the water, without carrying the weight of a backpack. Whether you prefer a sea kayak, inflatable canoe, or inflatable kayak, grab a paddle and flex your arm muscles for this ultimate form of non-motorised transport. Set out on an expedition down the Kongakut River. Rafting and hiking in the Arctic National Wildlife Refuge is simply a trip of a lifetime. The Twin Lakes, located in the heart of Lake Clark National Park, are a wonderland of crystalline waters set beneath a rugged rim of mountains. A kayaking classic! The Noatak River is a federally designated Wild and Scenic River as rich with tradition as it is with wildlife, and ideal for a rafting adventure. Combine the best of both worlds–terrestrial and aquatic–on a kayak-supported hike of Turquoise Lake. Kayaks are used for fully exploring the basin. Outdoor enthusiasts are spoiled for choice in Alaska. Want to try glacier trekking, backpacking, “flight-seeing”, wildlife viewing, kayaking, and rafting, but not sure which to choose? Looking for a mix of comfy lodges and rugged camping? Fear not. The possibilities for combining activities into multisport adventures are endless. For “do it all” types, try these great places for combination trips. Mix hiking and rafting in the seldom-visited Aniakchak National Monument & Preserve, reaching the prestigious “Ring of Fire”, a volcanically active caldera. Potentially Alaska’s best adventure trifecta! Sea kayak the sound, climb glacier ice in Chugach, and stretch your hiking legs under the spell of Denali. Sample backpacking through the Arrigetch Peaks region of the central Brooks Range, then try canoeing down the Wild and Scenic Alatna River. Three wonders of Alaska, many ways to see them. Hike, fish, kayak, raft, cruise, and fly your way through Alaska’s hallmark national parks, based in lodges or camping. Alaska’s wildlife is sized to the scale of the land. Here, the largest grizzly bears in the world feed on wild King salmon, also the biggest in the world. Herds of caribou roam the tundra, leggy moose munch suburban gardens, whales breach and bubble feed offshore of coastal towns, and millions of seabirds congregate as they complete their annual record-breaking migrations. ANWR is aptly described as “America’s Serengeti”. Caribou, polar bears, grizzlies and muskoxen wander, and nesting golden eagles make this refuge their summer home. Bear lovers take note: Katmai National Park is home to the largest brown bear population in the world, and holds the spawning grounds of literally millions of sockeye salmon. Wildlife photographers know this is the spot for moose, grizzly and black bears, Dall sheep, wolves, caribou, lynx, wolverine, eagles, ptarmigan and of course caribou. Who says Alaska’s outdoors are for summertime only? Get out in the backcountry for a fresh powder fantasyland all to yourself. From intense big mountain downhill to atmospheric Nordic-style touring, mountaineering on skis will bring you farther into the winter wilderness than you might imagine possible. Skiing this zone has perks like low elevation, ample snow, tons of non-glaciated and manageable ski terrain, and amazingly close proximity to Denali itself. Ski the Chigmit peaks, which are active volcanoes rising directly from sea level. In the park’s Neacolas Mountains, tour European-style through glacier passes and dramatic peaks. Backcountry skiing just got a lot more comfortable. Catch an exclusive cruise on a yacht throughout the Chugach Mountains in Prince William Sound. Just a daytrip away from Anchorage, this is the perfect first-timer winter wilderness experience in North America’s most accessible backcountry skiing terrain.